Today after revealing their quarterly financial results, Nintendo announced new versions of the original Gameboy Advance titles, Pokemon Ruby and Sapphire. These two games will be Omega Ruby and Alpha Sapphire and will contain a new adventure in a brand new world. There’s no further details than that, but perhaps Nintendo is planning on extending this adventure outside of Hoenn. Pokemon Ruby and Pokemon Sapphire initially launched in November of 2002 in Japan, arriving in North America in March 2003. They managed to sell 16 million copies between the two titles, making them two of the Game Boy Advance system’s top-selling games. 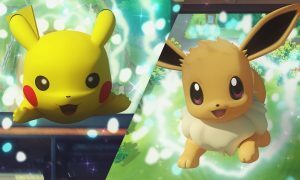 The revisitation of old regions and games in the Pokemon series is nothing new, but we are excited to see what improvements are made if the game will be in 3D like Pokemon X/Y before it. Will you be picking up Omega Ruby or Alpha Sapphire?